Outdoor security cameras are the first line of defense when it comes to protecting what’s most important—your home, property and family. Outdoor surveillance provides the assurance that anything and anybody approaching your property and home will be captured on video. 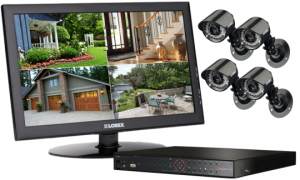 We’ve prepared this buyer’s guide to help homeowners navigate outdoor security camera options. Find out what you need to know about outdoor security camera systems to make the best choice for your home and family. 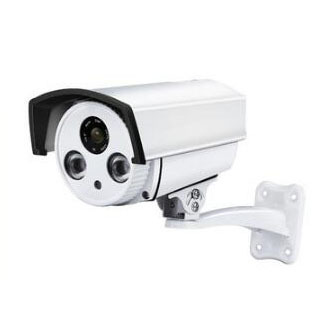 What are outdoor security cameras? 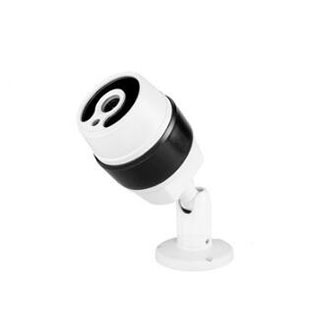 Available as either wired or wireless, outdoor security cameras may be placed virtually anywhere. 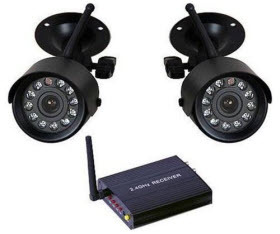 With a DVR (digital video recorder) and a computer or monitor, all of the camera feeds can be viewed from a central location inside the home. The cameras may also be integrated into an existing home security system with the option of subscribing to a monitoring service which watches the camera feeds 24/7, 365 days a year, ready to alert the homeowner and emergency services at the first sign of alarm. In addition, remote surveillance is available for homeowners who want to view footage on a wireless device such as a phone or tablet. Many cameras are capable of recording and storing video, which may serve as evidence should a crime occur. While there are many similarities between indoor and outdoor security cameras, outdoor cameras are specifically designed with a wider viewing angle to keep watch over large outdoor areas. Many also come with night vision to capture images or video even in the darkest night, and all are equipped to be weather resistant or weatherproof with a tough protective housing. 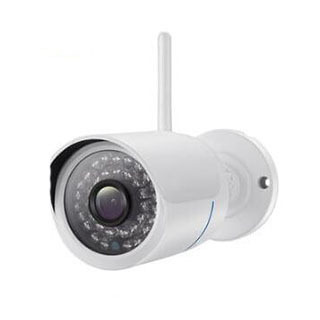 In simplest terms, outdoor security cameras are installed, either using wired or wireless technology around the home and property to monitor and/or record activity in its area, or “zone.” Connected to a central control center, whether through a DVR or over a wireless network, the homeowner is able to see and access everything the camera(s) sees, recording if desired to access at a later time. These cameras are typically programmable to record at specific times, when they sense motion, or upon demand. 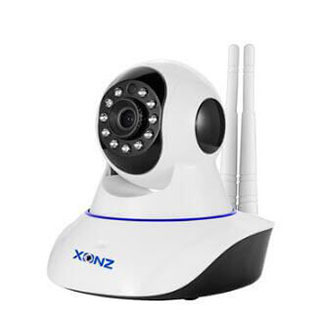 Most cameras on the market are analog security cameras that rely on closed circuit television, or CCTV surveillance software. Connected to a DVR or computer monitor, these cameras have a lens, a DSP (digital signal processing) chip, and protective housing to stand against the elements. Transmission cables connect the camera to the DVR and receive the video from the “eye” of the camera. The DVR then compresses the video and stores it onto a hard drive to be accessed at a later time. It’s likely the DVR will also have the capability of converting the analog video into a digital format so that it the video can be streamed over the internet using a built-in web server. 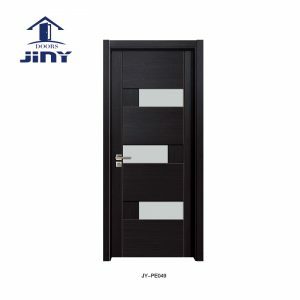 The DVR is also where all programming is made such as alarms, notifications, and scheduled operation. 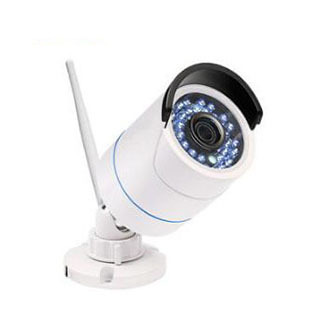 Network security cameras, or IP security surveillance systems, are pricier than analog cameras, but its technology is more advanced, enabling more options. 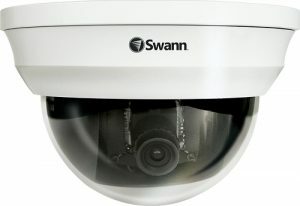 In this type of camera, there is no need for a separate DVR because the camera has this capability built right into it. The camera not only captures the images and video, it also compresses and converts it to a digital format and streams it over the internet. 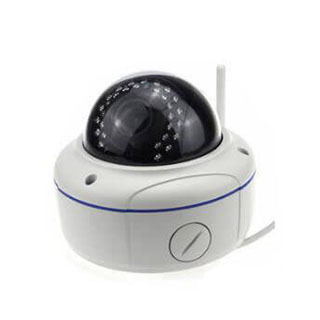 Many network security cameras come with an SD card capability as well, so video can be stored directly on the card. If the camera is also connected to an NVR (network video recorder), it can stream video directly to the NVR or a computer or smart device, all of which can record it. High resolution is one of the perks of this type of camera, but it requires much larger bandwidth and storage, which can be a challenge for some households. As outdoor security cameras continue to grow in popularity, they are practically becoming a household name. As demand rises, so does the number of different needs and application for these cameras. 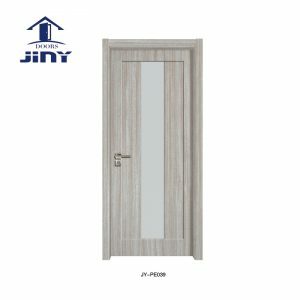 The result is a fast-growing market of different types of outdoor security cameras, which is great news for choosey homeowners, who can better meet their needs today than they could have in what was a much smaller market with less choice even five years ago. 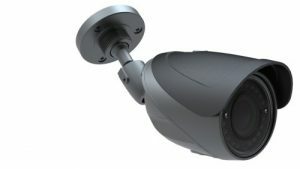 Here is a brief rundown of some of the types of outdoor security cameras available as well as a listing of key features. As you read each one, keep your home and property in mind, paying close attention to the details of each type that may or may not suit the specific applications you need and want. Often requiring professional installation, wired security cameras must be located in places where they can meet the necessary outlets. Wires may be difficult to hide, making surveillance obvious to an intruder, who will try to avoid the range of the cameras. They may offer a clearer picture than wireless cameras, as well as more reliance when it comes to streaming, but in the outdoors, the wires may be in jeopardy due to weather and other outdoor vulnerabilities. 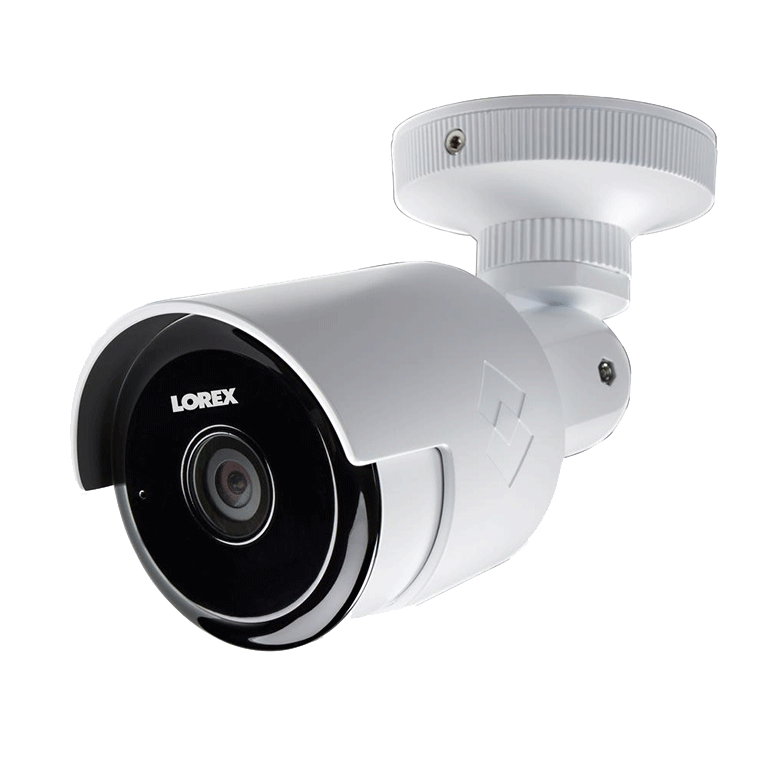 These cameras are ideal for outdoor installation, which can be otherwise challenging. 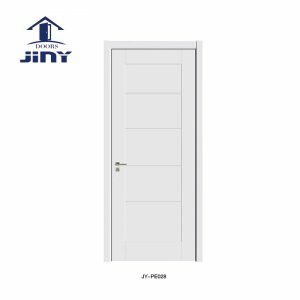 Without wires or reliance on a power source (they run on batteries) to restrict placement, they are quite versatile, covert (no visible wires), easy to install, and a snap to relocate as the homeowner sees fit. 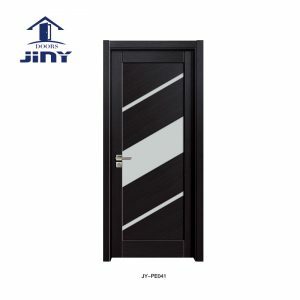 With both options available for outdoor home use, color security cameras are more expensive than black and white, but provide a higher degree of footage. A black and white image will capture light versus dark tones compared to precise color captured by a color camera. When it comes to identifying an intruder, things like the color of clothing, skin, eyes and hair can make all the difference. Depending on the size of a property, choosing one or more with a wide angle can lessen the number of cameras needed. Backyard areas are ideal for this type of camera, which can cover 104 degrees of movement up to 40 feet away. Named for its streamlined, bullet shape, this camera is best suited to a wall or ceiling mount, making it ideal for entrances such as a porch area where it works best pointed in one direction. It doesn’t typically have the capability to move direction or zoom in. From an intruder’s perspective, it is easy to see the direction it’s pointing, cluing him in on how to avoid its sight. These cameras are dome-shaped and are designed to be an “in-your-face” type of protection. Very obvious in their purpose, dome cameras are also most suited to a more protected entryway type mount so they will be immediately visible to anyone who approaches. Unlike the bullet camera, it’s difficult to tell where the camera is pointed, increasing its purpose as a deterrent. “Speed domes” are a variation that spin quickly to capture a broader range of images. 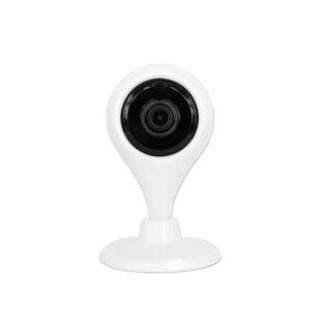 The complete opposite of the obvious dome cameras, discreet cameras are disguised as typical outdoor accouterments such as a clock, a plant, or an electrical box. Alternatively, any camera can be well hidden inside a planter or in a tree to obscure notice. Ideal for outdoor coverage of a large area, a pan, tilt, zoom security camera has the ability to move and capture different angles, which gives PTZ cameras the capability of doing the job of several fixed-sight cameras. 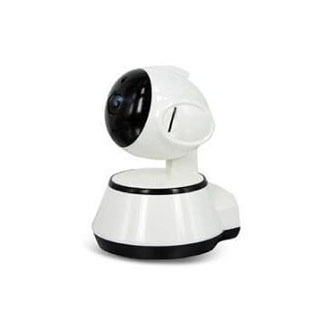 A PTZ security camera can be pre-programmed or controlled by an operator in a remote location. Everybody’s home security needs are different, and when it comes to outdoor security cameras, there are two main areas where homeowners need to focus their attention. The first is property needs and requirements, and the second is personal, or family, requirements. The two are very different, which makes this a double-faceted decision. Yet, you will likely be very pleased with how often the two intersect as you get closer to making your final choice. When it comes to assessing the security requirements of a property, it’s pretty cut and dried. The physical aspects are not generally negotiable, so it’s a matter of paying close attention to the outer area around your home and the property it sits on as well as all structures, trees, plants, and everything else that it includes. Take a walk around your home and property, and be prepared to take notes. It would be wise to do this with another family member as well or to have someone else walk your property separately from you so you can compare opinions and notes. Keeping in mind all of the types and features of outdoor security cameras we’ve outlined in this guide, make note of where you think those features will help protect your outside property. Stand at your main entrance with your back to the door. What do you see? Is there a sweeping, wide-open space that allows clear visual access? Or, more likely, do you see a walkway, possibly shaded and obscured by foliage, maybe a few large trees as your eye wanders further away? How about a garage to one side, obstructing part of your view? Or perhaps your driveway is a winding one and you can’t see the whole thing.